Spherical, metallic-blue flower-heads in August, maturing to bright blue, and prickly, dark green leaves with white undersides. 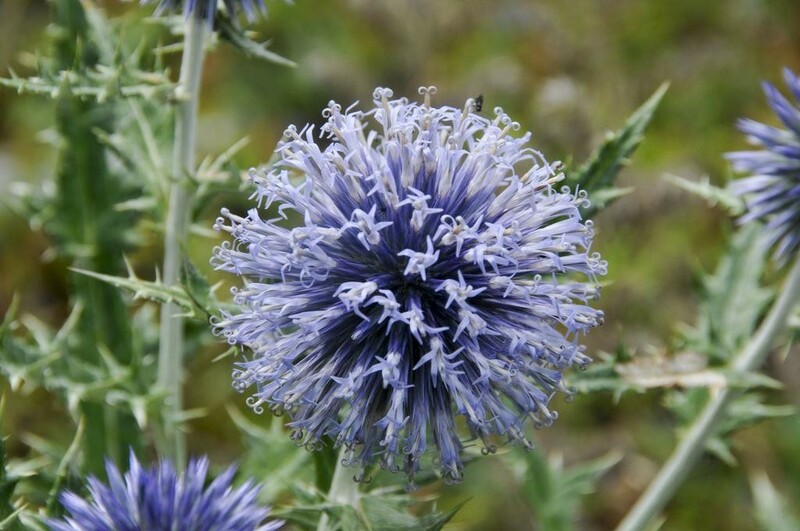 This globe thistle is perfect for the middle of a sunny, well-drained, herbaceous or mixed border. Compact and easy-to-grow, it's particularly suitable where border space is limited. Supplied in a 1 Litre container.